The Greenland Ice Sheet's contribution to sea-level rise has doubled over the last decade due to increased melting and, to a greater extent, to the widespread acceleration of outlet glaciers around Greenland. One of the mechanisms scientists believe may have triggered this acceleration are changes in ocean circulation in the North Atlantic which are delivering larger amounts of subtropical waters to the high latitudes. As these waters reach the glaciers, they can result in increased submarine melting thus modifying the force balance at the edge of the glaciers – potentially driving glacier acceleration. Our knowledge of the properties of the ocean waters reaching Greenland's glaciers and our understanding of the oceanic, atmospheric and glaciogical mechanisms that control their variability, however, is presently very limited. Furthermore, the physics of ice sheet/ocean interactions are typically absent or crudely represented in ice sheet, glacier and climate models. Thus more and longer term measurements from the ice/ocean boundary as well as process oriented modeling studies are needed to address these issues and improve our ability to interpret past and predict future ice sheet variability. As part of this effort, I have been collecting data at the edge of several major outlet glaciers in East Greenland (Helheim, Kangerdlugssuaq and 79 N Glaciers) - including moored instrument	deployment and helicopter surveys. 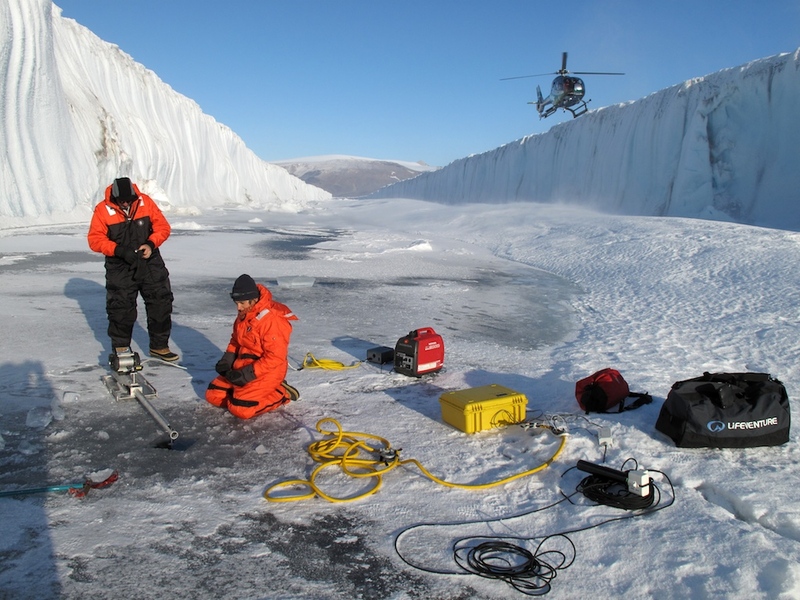 The goal of these measurements is to understand those oceanic processes which control the submarine melt rate and improve our understanding of the relevant dynamics. Co-Chair of the U.S. CLIVAR WORKING GROUP ON ICE SHEET-OCEAN INTERACTIONS IN GREENLAND The overarching goal of this working group is to foster and promote interaction between the diverse oceanographic, glaciological, atmospheric and climate communities, including modelers and field and data scientists within each community, interested in glacier/ocean interactions around Greenland, to advance understanding of the process and ultimately improve its representation in climate models. Rapid Circulation of warm subtropical waters in a major glacial fjord off East Greenland, F. Straneo et al., Nature Geoscience, 2010, 3, 182-186. Impact of fjord dynamics and glacial runoff on the circulation near Helheim Glacier, F. Straneo et al., Nature Geoscience, 2011, 10.1038/NGEO1109. This project is supported by WHOI's Ocean and Climate Change Institute and by the National Science Foundation Ocean Sciences Division.